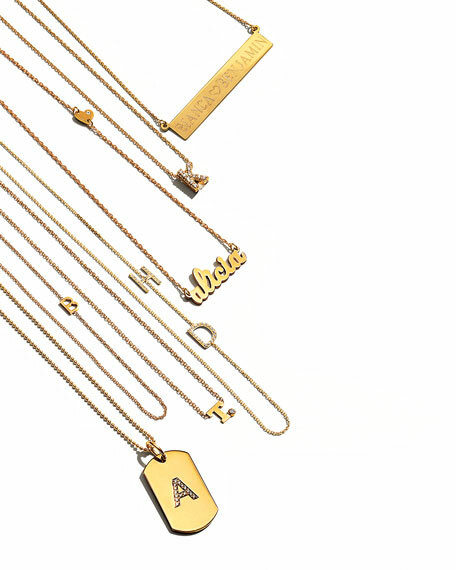 Personalized nameplate necklace by Zoe Lev Jewelry. Polished 14-karat yellow gold rolo chain and hardware. Integrated nameplate with one VS diamond bezel. Choose font and up to 17 characters. Please Note: Personalized items may not be ordered blank. Please order carefully. Orders for personalized items cannot be canceled, and personalized items cannot be returned. This item requires special assistance, to order call 1.888.888.4757 .